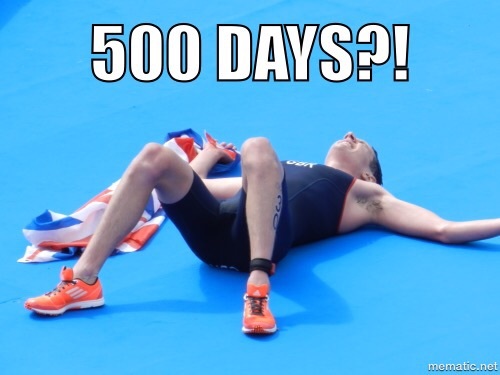 Today marks 500 days until the start of the Rio 2016 Olympic Games. I know! Seems like not that long ago Ali Brownlee destroyed the field (and nearly himself) in Hyde Park. A spectacular opening ceremony is scheduled for the Maracanã Stadium in Rio de Janeiro on 5 August, 2016, and will be followed by 16 days of sporting drama. Triathlon will take place on 18 and 20 August, with the men’s event first to take place. 55 men and 55 women will take to Copacabana Beach with dreams of following Alistair Brownlee and Nicola Spirig (SUI) as the next Olympic champions. British Triathlon’s selection criteria offers an opportunity for early nomination to Team GB by winning a medal at both the Rio test event this August and the ITU World Triathlon Grand Final in Chicago in September. And Non Stanford has her mind firmly focussed on August this year for an opportunity to experience what the Rio 2016 Olympic Games might be like.